How Does Google Wallet Virtual Card Fare?How Does Google Wallet Virtual Card Fare? 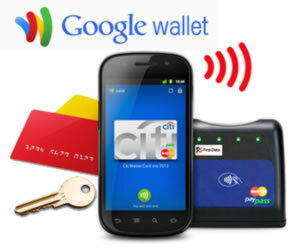 Home › Credit Cards Blog › How Does Google Wallet Virtual Card Fare? Just before the holiday season kicked off, Google announced its Google Wallet would now include not only the Mastercard PayPass, but Visa, Amex and Discover as well. The questions many consumers have been asking all along is whether or not another app is really necessary and if keying in financial information that’s to be stored in yet another virtual vault is really smart. Not only that, but this is the same company that’s trolling the internet combing for information about you to add to that Google+ page you might never have even created (or even know that it exists – trust us – it exists). If you have a YouTube user name, a Gmail account or have left restaurant reviews on any of the review sites owned by Google, you have a Google+ page. Many are wondering how far they can trust a company to keep financial information safe but that trolls the crooks and crannies of the web with no regard to your privacy. Frankly, its efforts makes Facebook look like kid’s play in the privacy areas. No thanks. I don’t need any company to invite me to wait for an invitation when it comes to my own money. Many consumers are echoing the same frustrations. Initially, the only card that could be stored on Google Wallet was Mastercard and specifically, the MasterCard PayPass. Since it now allows consumers to use all of the major card brands and even some prepaid cards, it could be there’s a bit of hope for this massive company that just can’t seem to get past its own arrogance. And frankly, NFC technology is more than impressive and fortunately for Google, it has this down to a science. You may use the Google Wallet Virtual Card to make purchases using the Google Mobile Wallet Service. The Google Wallet Virtual Card is a Google Wallet prepaid debit card used only to enable your use of the Google Mobile Wallet Application at the point of sale. It is not a consumer debit or credit card. The Google Wallet Virtual Card does not directly access any traditional consumer checking or savings accounts or other prepaid account owned by you, but it does access a prepaid account owned and funded by *GPC. In other words, if you sign up for the Google Virtual Card, you may not be able to use your other financial sources. Clearly, there are a few sticking points. The first being why would Google care which payment source you use and what’s in it for them if they’re limiting consumers on how they spend their own money? The Google Wallet Virtual Card is different than your debit or credit card registered in your Google Wallet Account. The merchant will not receive your registered debit or credit card information. Rather, the Issuer will settle the Google Wallet Virtual Card payment to the merchant. Then, GPC will bill your selected Payment Instrument for the purchase price. Again, many consumers are concerned that yet another way for a hacker to penetrate their information is just asking for trouble. Many users’ first concerns are what happens when they lose their phone or it’s stolen? Google has done well assuring users that the security is up to speed. It requires a Google Wallet PIN to ensure no one can use it who doesn’t know how to access it. Unfortunately, there’s one small sentence in the terms and conditions of the Google virtual card: You will not receive a Personal Identification Number (“PIN”) with the Google Wallet Virtual Card. Also, don’t look to Google to provide any kind of assistance in terms of trying to determine if your information has been accessed. If your smartphone is lost or stolen, but if you don’t believe your PIN has been compromised, Google prefers you not contact them. If, however, you think it has been compromised, then you should “call Google Wallet Support at once”. Most recently, it’s also announced Wallet can be disabled remotely if the user doesn’t have his or or her phone with them for whatever reasons. If you do link one of the Google virtual cards to your Google Wallet, you should know in the terms and conditions, there are clauses that could prove troublesome: Transactions Final. Once initiated, Payment Transactions made with the Google Wallet Virtual Card will be final. The transaction cannot be canceled. If you dispute a charge and are refunded any funds, you should know that Google will accept the refund on your behalf and then credit your Google account. It promises to do so within five business days of it receiving the refund. You should also know there’s an arbitration clause in the terms and conditions. This means you’re bound to go through arbitration in order to resolve differences. The Consumer Financial Protection Bureau is currently looking at eliminating those limiting clauses. If that happens, consumers will once again have more resources available for fighting big companies that at one time kept them bound to their rules. NFC, in this tech-heavy society, is well past its infancy. The technology allows smartphones and devices to establish radio communication with each other by putting them within a certain parameter where they information can be exchanged. Many new smartphones allow users to tap phones and transfer entire music libraries. In the financial sector, it’s proven to be a fine way to pay for goods and services – provided the merchant is set up for this kind of advanced technology. Google is all about tapping, paying and saving. Users tap their smartphones to the NFC terminal during the checkout process and then are presented with all of their credit cards or other payment options (provided there’s no Google Virtual card attached to the account). The phone then sends the necessary information to the merchant terminal and even automatically applies any Google Offers or other coupons to the purchase. Currently, the Google Wallet site says “hundreds of thousands” of merchants around the nation offer this kind of technology. Provided you understand the many limitations associated with Google Wallet and its virtual card, there are benefits to adding Google Wallet. Whether or not the features will actually benefit you is something you’ll need to discern. You are strongly encouraged to carefully review the terms and conditions associated with Google Wallet and Google Virtual Card. The technology is impressive, but the need is uncertain. At a minimum, you must understand the huge differences the virtual card adds to the Google Wallet should you choose to add it. As we saw above, some of the terms and conditions are canceled and overridden by the limiting terms associated with its prepaid card.